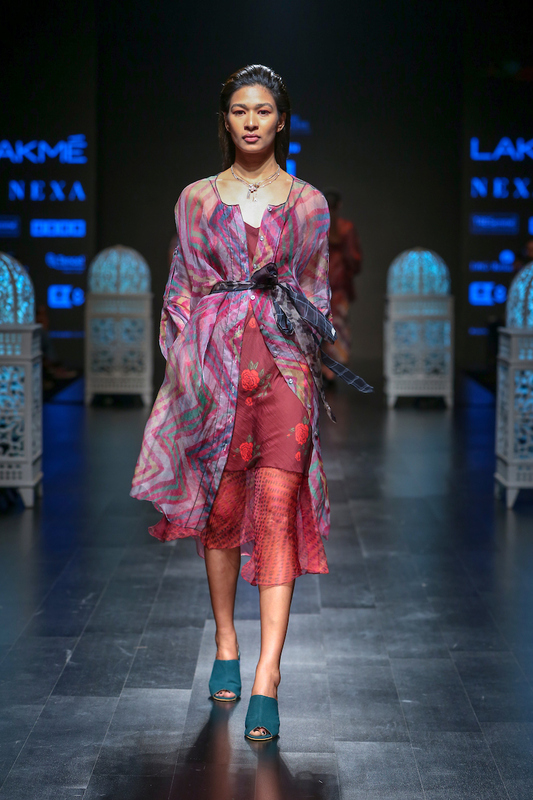 Mumbai, 2nd February 19' - Gen Next debutantes, Saaska & Kinni showcased their new SS 19' collection on Day 4 of Lakme Fashion Week. Titled Nómada, the collection took cue from the designers' happy memories traveling across the country, with family, early on in their lives. 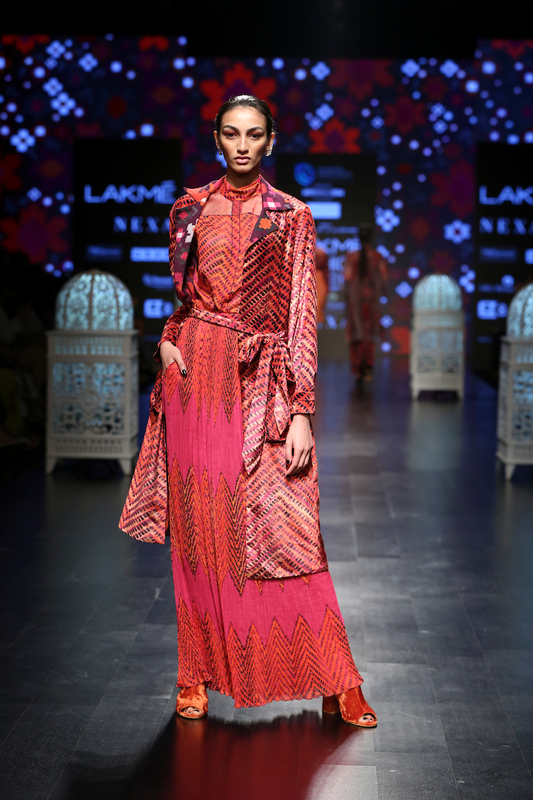 Leheriya prints, a forever inspiration for them, from the long summers spent as children in Gujarat and Rajasthan translated into the abstract floral prints and rampant micro-pleating that could be seen on the runway. 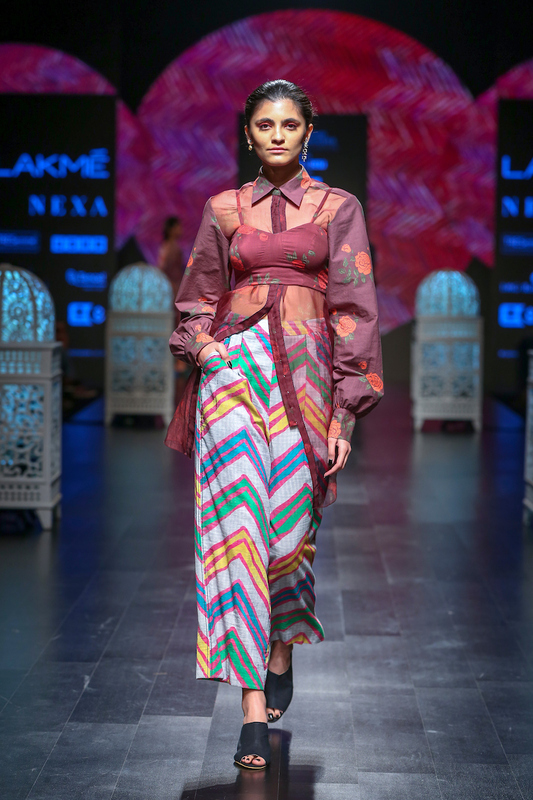 Continuing their story from the north of India to the south, were stark checkered prints that the designers' picked as their inspiration from the traditional 'lungi' that infamously relates to the south of India. 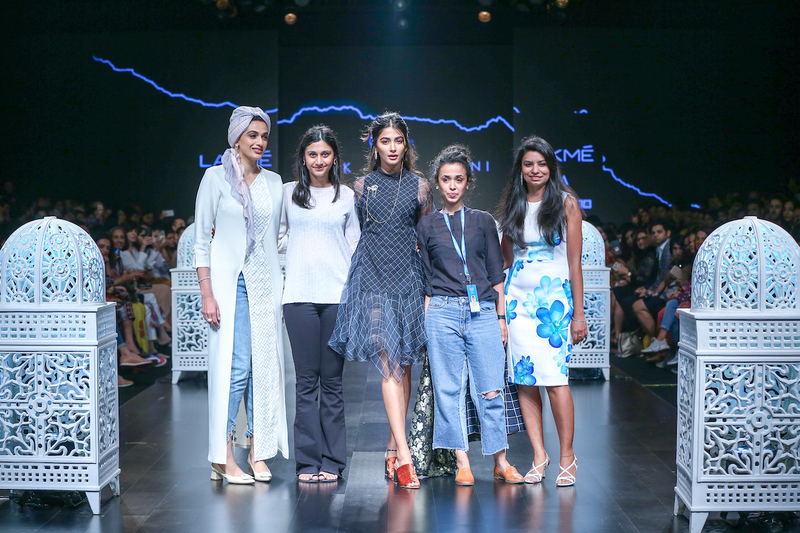 The jewelry by A.S.Motiwala and Orra gave the audience a fresh and new perspective on how fine jewelry doesn't always have to be restricted to the heavy bridal pieces, but simple and clean diamond jewellery can be a perfect match for resort wear fashion as well. Complementing the ensembles, the hair was textured and tied into a sleek ponytail, while the makeup was young and fresh with a pop of colour on the eyes.